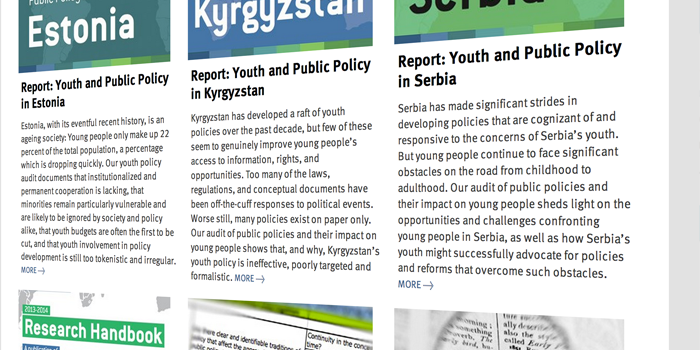 We generate and consolidate knowledge and information on youth policies across the policy cycle, ranging from analysis and policy formation to policy implementation and evaluation. 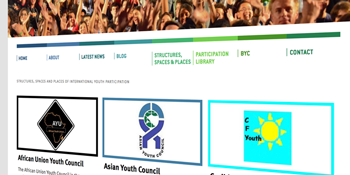 Our resources range from a comprehensive database on youth policies around the world and an overview of participation structures to an extensive youth policy library and encyclopedic youth policy fact sheets for each and every country. 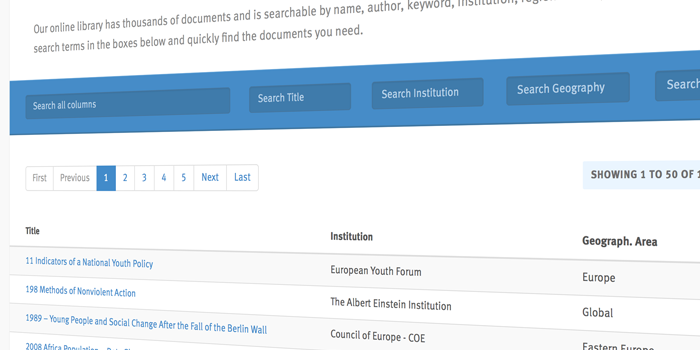 Our online library has thousands of documents and is searchable by name, author, keyword, institution, region – in any combination. We assess the impact of public policies on the rights of young people through independent reviews by local research teams. Our overview of structures, spaces and places showcases arenas for youth participation: how and where can young people engage? 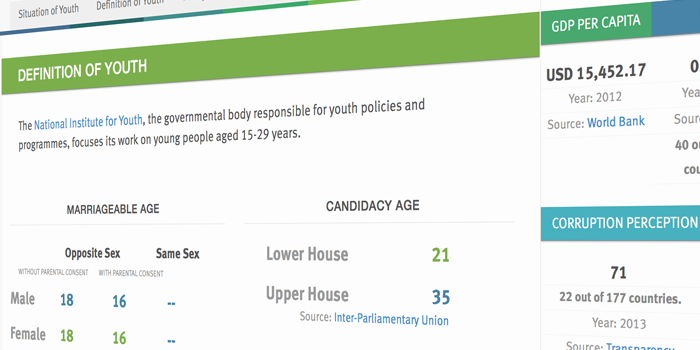 We maintain a database of national youth policies for all ~200 states and publish an annual report on the state of youth policy. 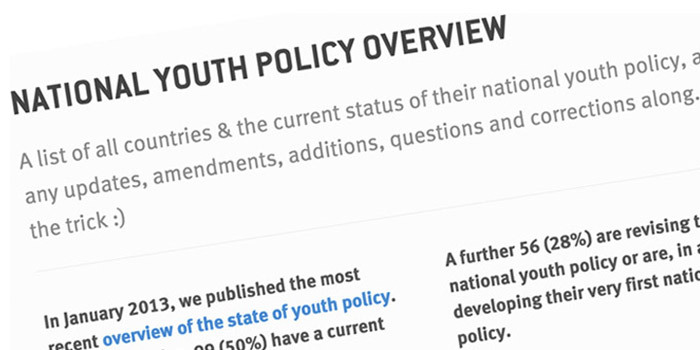 We have written an overview of and introduction to youth policy at national, at regional and at international level – our youth policy intro & faq. 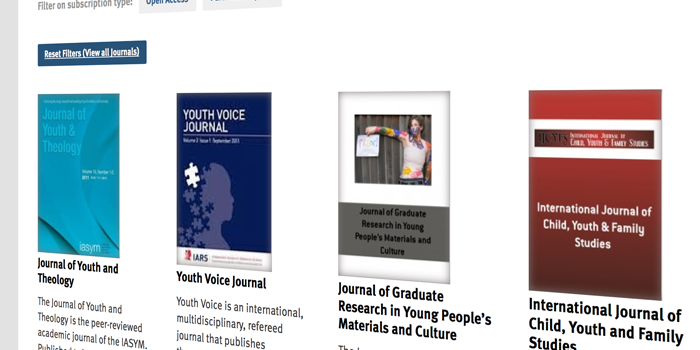 We maintain an overview of academic journals that publish on youth issues around the globe, sortable by region or by subscription type. 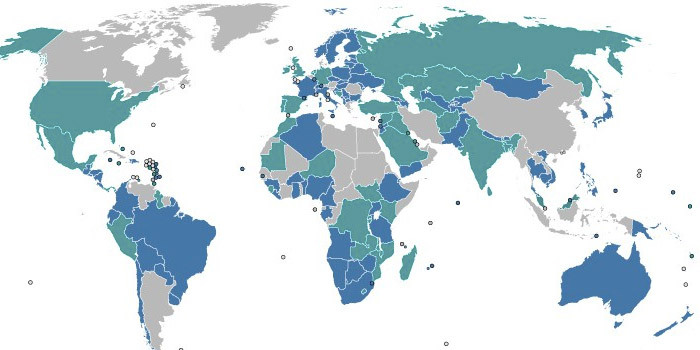 Our extensive youth policy fact sheets provide an introduction to the state of youth policies, youth rights and youth participation for all ~200 countries. 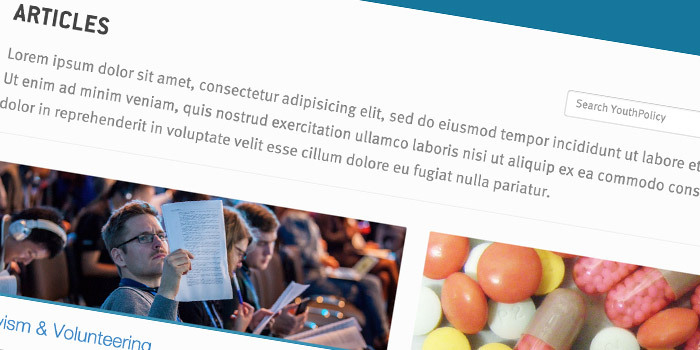 Our collection and archive of feature articles, searchable by category and author. Read our analytical pieces, events reports, and policy essays.